Crafting Confessions: 2013: That's a Wrap! 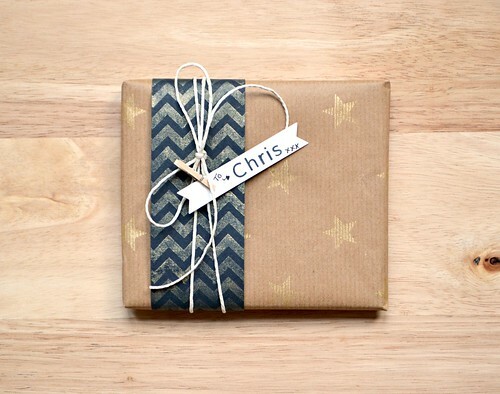 I decided to make a bit more of an effort when it came to wrapping up my guy's presents this year and have plenty of inspiration from my Pinterest board. So I got out a few Clearly Besotted Stamps goodies, some gold ink, and some other bits 'n' bobs and played. 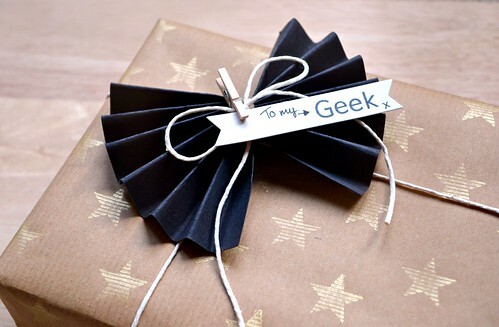 The accordion-folded bows are so easy to make: simply fold a piece of card like you're making a fan, tie a piece of string around the centre and fan the ends out. For those smaller presents, I simply wrapped a piece of black card around the gift as the acordian-folded bow was a little too big. Each band of black card was stamped with a pattern in the same gold ink used on the wrapping paper. The accordion bows can be created to any desired size, it simply depends on the size of the sheet of card you start with. 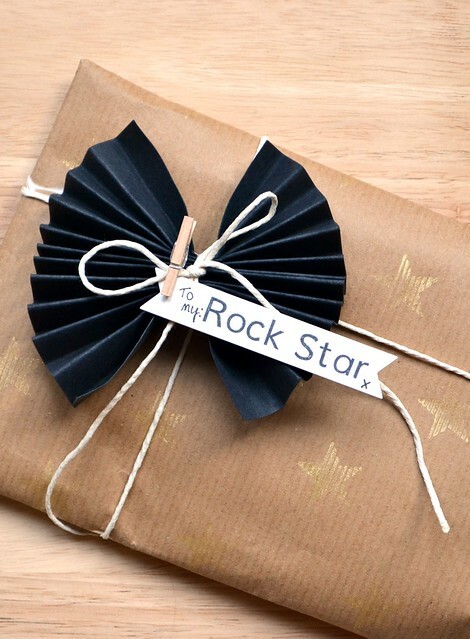 To create a rosette embellishment, simply fold a longer length of card and secure the ends together. A clock created from recycled valves, nixie tubes, from the 1950s. Far too fragile to wrap up and transport to my guy's parents' where we celebrated Christmas. You can see the one I purchased for him in action here. 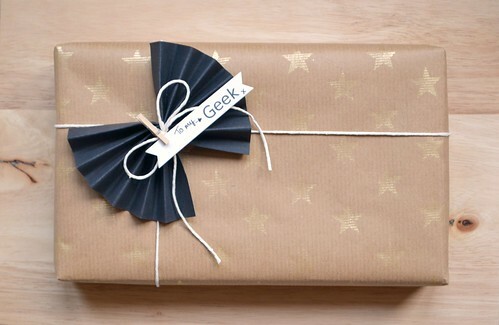 awesome wrapping and gifties...happy new year!!! What a classy lady you are, as is this packaging. I absolutely LOVE the black fan/bow. All my best wishes go to you both for a healthy & happy 2014. Also many thanks go to you for my squeelingly cute glitzy wee snowman in a box. 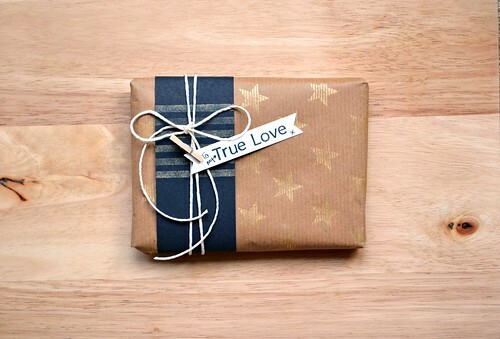 Lovely gift wrap, all the more special because of your hand stamping! May you and your family have a safe and happy New Year! I love your wrapping, Aimes, and that clock is freakin' amazing!!! Happy New Year to you! Wow! Gorgeous gift wrapping, Amy! I love all the gold elements you added and your accordian bows are fabulous! Sending you my best wishes for a very happy New Year!